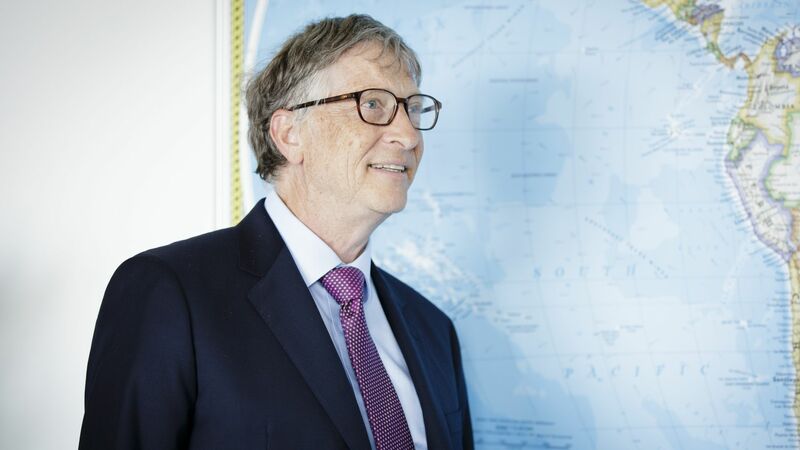 The following is an excerpt of an article by Axios reporter Amy Harder detailing a new Bill and Melinda Gates Foundation report featuring comments by Bill Gates on the environmental benefits of GMOs. Genetically-modified seeds can help farmers adapt to droughts and other changes brought on by human-driven climate change, according to Bill Gates in new comments timed with a new report. Driving the news: The report, a second annual scorecard of the Bill & Melinda Gates Foundation's work, focuses mainly on youth population growth and sub-Saharan Africa. A big part of that involves agriculture — hence the focus on climate change and genetically-modified organisms. "What we have to do is help these farmers with farming techniques and new seeds — seeds that deal with drought better, that deal with flooding better, that are just basically more productive. ... Some of those new seeds will use advanced science that people call GMO to get that doubling in productivity and deal with drought and avoid the starvation." The other side: GMOs spark a lot of controversy, though most scientists generally agree they’re safe. One level deeper: In a recent interview at the foundation’s office in Seattle, Laura Birx, deputy director of strategy for the foundation’s agriculture work, says climate change is an omnipresent topic when she meets with farmers in Africa. However, they use different words, like water and drought. "It’s a topic that comes up all the time, but no one has ever used the words 'climate change,'" Birx said. To read the entire article, please visit Axios.